PTA Online Complaint Management Service has been introduced to ensure better quality of services to the telecom consumers by providing them a complaint lodge facility at the PTA portal. PTA Online Complaint Management Service is expected to push the telecom operators to resolve consumer complaints about the quality and operations of mobile communications at the earliest. You may have experienced this yourself — sometimes our complaints are not heard by the telecom operator, or it may take longer than expected. The all-new service that PTA has introduced resolves consumer complaints about telecom products and network services. Moreover, the PTA Online Complaint Management Service allows users to lodge telecom complaints against their service providers. 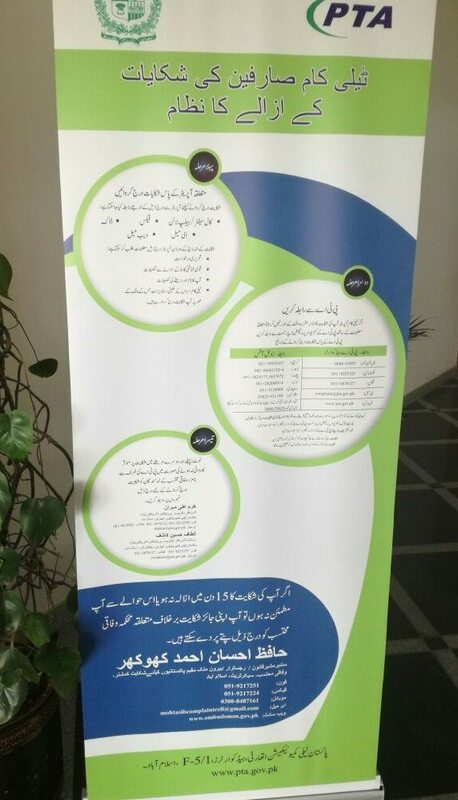 According to an official statement released by PTA, if you are a telecom consumer and you are not satisfied with services being provided by your respective telecom firm, you can lodge a complaint thru PTA Online Complaint Management Service at any of the touch points provided at the portal: Contact Details of Telecom Licensees. PTA is a government authority that aims to strengthen cooperation in telecom sector, evaluate existing information and communication technologies that meet the objectives of both telecom operator and media content producer, expand cooperation with regards to information management practices, frame laws to protect consumer interest, encourage investment in telecom infrastructure, and provide productive and competitive environment for the operators; to ensure the growth of the telecom industry. Dear we are not PTA, please contact PTA for your issue.